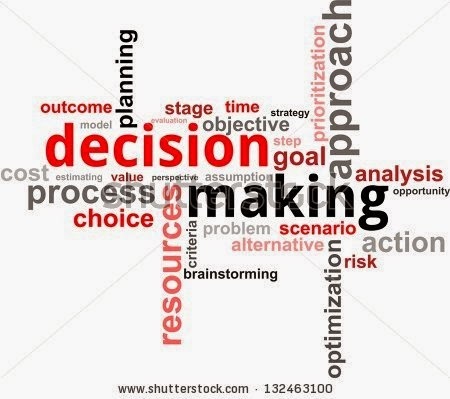 Being able to make good decision is something that is very important. It is a skill that most people learn and it cuts across every sphere of life, so even if you are working with a company that’s not yours or you own your business you will still need to make decisions. Here you have to see the opportunity , think of the positive effect it will have to your customers. 2) Get all the information you can get on the opportunity you have chosen to work on. 3) Find other ways of analyzing the situation you need to make a decision on. Check if there are other opportunities apart from the one you have chosen that can fit in perfectly into the same situation. 5) Analyze these alternatives if you have any. Consider how you will execute them and what will be involved in doing it that. 6) Choose the better and safer option. 7) Take the decision and act on the selected option. Thank you so much for reading . KEYS TO ACHIEVING YOUR GOALS IN 2016. Steps to make you better everyday (Part 1 ).